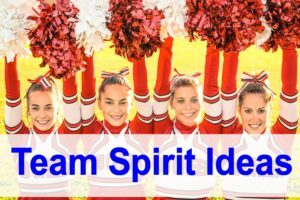 Cheerleading Team Spirit Ideas to Use NOW! Have fun walk in music while the students and teachers come in. You can also have a theme for the assembly! 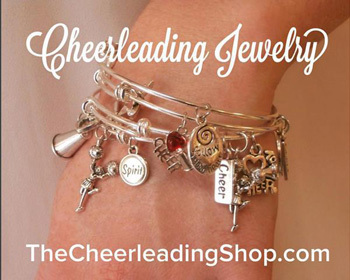 For example, to promote school spirit, your theme can be “Bear’s Pride” ( or what ever your mascot is ). Have everyone where your schools colors and team shirts. You can have contests during your assembly like: The Most Spirited, Craziest Outfit, Best Set of Twins, etc. Color Excitement: Have balloons in a variety of colors hanging in a net and release them as the assembly closes. Old Fashion Field Day: Play fun old school games; think 3 legged race or wheel barrow race. T-Shirt Design Contest: Have students compete and have your administration choose the top 5. Let the students vote and sell the winning shirt during spirit week. 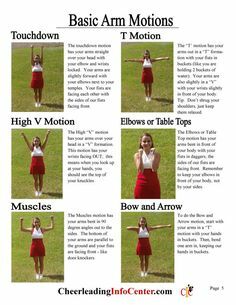 Class Cheer Battle: Have each class create a cheer and have a good old fashion cheer battle at the pep rally. Volunteer a the local animal shelter. 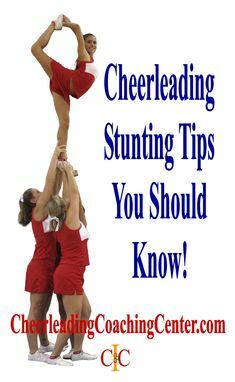 Teach a cheer clinic at the local boys and girls club or homeless shelter that has children. 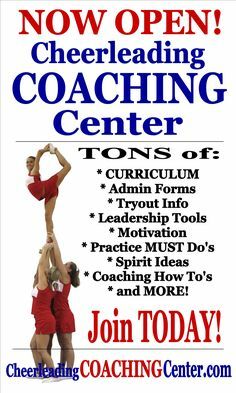 JOIN the Cheerleading Coaching Center Today – HERE!